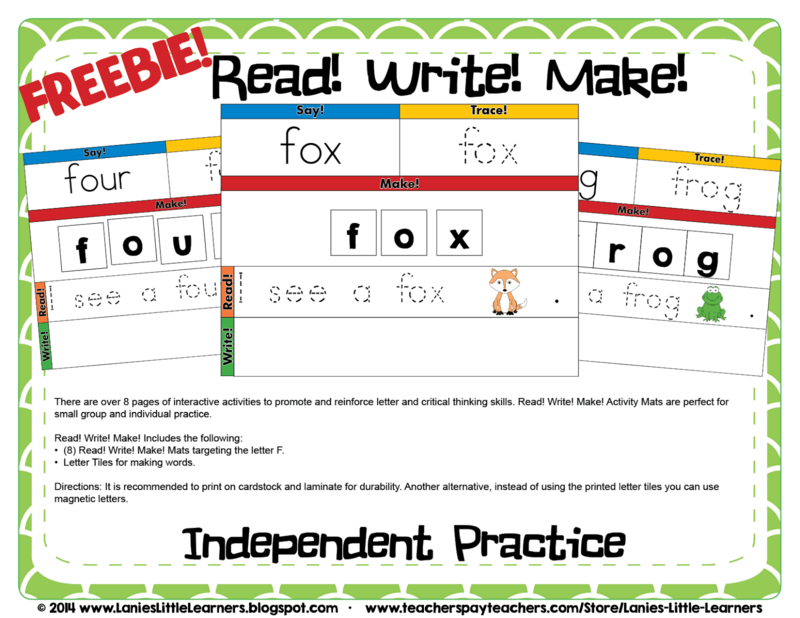 There are over 8 pages of interactive activities to promote and reinforce letter and critical thinking skills. Read! Write! Make! Activity Mats are perfect for small group and individual practice. (8) Read! Write! Make! Mats targeting the letter F.
Letter Tiles for making words. Directions: It is recommended to print on cardstock and laminate for durability. Another alternative instead of using the printed letter tiles you can use magnetic letters. Click on the FOLLOW ME BY EMAIL button to stay updated on new releases. lanieslittlelearners@gmail.com, so I can fix the error and send you a revised packet.